Bellingham, Bavington, Byrness, Corsenside, Falstone, Kielder, Kirkwelpington, Otterburn, Rochester and Tarset & Greystead. meet, and in season you can watch the wild salmon leaping. But there is plenty to see if you want to stay local to the town. Hareshaw Linn Walk is a stunning 2.5 mile walk through countryside passing the remains of an old ironworks - the area was once home to a number of iron and coal mines - that ends at a magnificent 30 feet waterfall. The town is also home to the Bellingham Heritage Centre which celebrates Bellingham's rich industrial and cultural past. Is a village with a population of 99. The village is 16 miles (26 km) north of Hexham. •	Firstly a hamlet clustered beside the late 18th-century church and much older graveyard. •	Secondly the Forestry Comission village, established in the 1950s and '60s, less than half a mile further up the valley. Kielder Village is a small settlement in North Tynedale; Located at the head of Kielder Water and in the north west of Kielder Forest, the village is 3 miles (5 km) from the Scottish border. The economy of Kielder was based on forestry and is now also based on tourism. With the creation of Kielder Water in 1982 great steps have been taken to develop the area at a tourist destination with the establishment of facilities such as Leaplish Waterside Park by Northumbrian Water which offers both accommodation and recreational facilities. 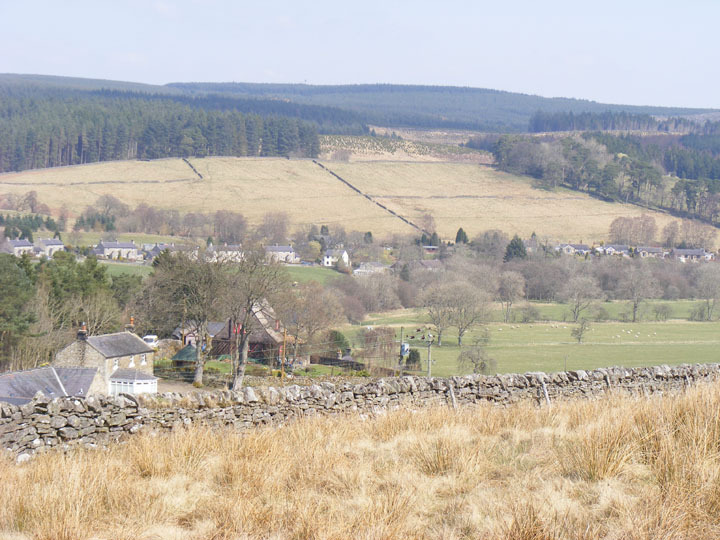 There is a pub, Post Office, School and Shop within Kielder Village. Tarset and Greystead is a large parish in Upper North Tyne, which includes the hamlets of Lanehead, Greenhaugh and Greystead. 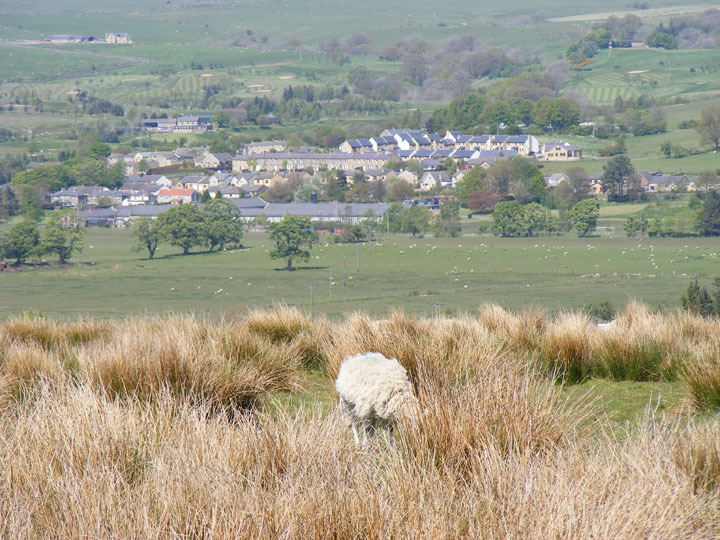 Tarset's principal activity is upland hill farming and is famous for its high quality traditionally-reared Tarset hill lamb. The vibrant, friendly, community make the most of Tarset's beautiful surroundings and participate in a very full schedule of events. Most of the community activities centre around Tarset Village Hall at Lanehead, the Holly Bush Inn and the First School at Greenhaugh. However, Tarset residents are also active participants, organisers and helpers with groups and activities in the adjacent communities of Bellingham, Falstone, Kielder and Redesdale. This leads to a rich and varied programme of community events. The Village stands 1 mile North of Knowesgate, and 10 miles from Bellingham. Kirkwhelpington parish has a Memorial Hall, which was built in 1924 as a memorial to the men of the village and district who gave their lives in the First World War, A Post Office and First School. It is thirty years since the looms stopped at Otterburn Mill but the history of weaving and wool milling can be followed in its museum. The famous expression ‘to be on tenter hooks’ came from the textile trade. The woven cloth, once washed, was dried and stretched on tenter frames and the mill boasts the last set of these in Europe. Visitor attractions include a café, a busy sales outlet and information centre at Otterburn Mill. Otterburn Festival, a country fair with a multitude of rural attractions, is held at the Mill in mid-July. The village has three hotels, a greengrocer and two shops selling groceries, newspapers, local produce, take-away food and licenced goods. Bed & breakfast accommodation is offered at a number of locations in and around the village. Rochester is five miles north-east of Otterburn on the A68 road between Corbridge and Jedburgh. The village is the site of the Roman fort of Brigantium, built there to protect the important Roman road of Dere Street, which passes through the village. Brigantium now has a cafe, coffee shop and visitor centre.